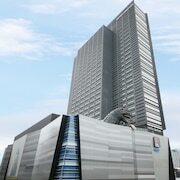 What are the top landmarks in Tokyo? Catch an event at Tokyo Dome during your trip to Tokyo.Visit the temples and shops in this vibrant area. Tokyo Sky Tree is a well-known landmark worth seeing in Tokyo. Visit the temples and shops in this vibrant area. Enjoy a trip to Tokyo Tower, a well-known attraction in Tokyo. Visit the temples and shops in this vibrant area. Tokyo Imperial Palace is just one of the places to see in Tokyo, so why not enjoy the other things to explore during your travels? Visit the temples and shops in this vibrant area. Explore the great outdoors with a trip to Ueno Park, a popular green space in Tokyo. Visit the temples and shops in this culturally rich area. Shibuya Crossing is a well-known landmark worth seeing in Tokyo. Visit the shops and temples in this vibrant area. Shinjuku is a welcoming neighbourhood with many tasty options for restaurants and bars. The neighbourhood’s charm comes through in its skyline. Many visitors come to enjoy the natural beauty of the gardens, while others visit for the local shopping. Shibuya is a welcoming neighbourhood. The neighbourhood’s charm comes through in its architecture. 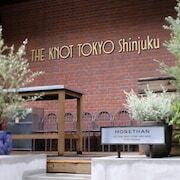 The Ueno neighbourhood welcomes visitors, with its convenient options for restaurants. Broaden your horizons with some local shopping. Maihama is a welcoming neighbourhood. The neighbourhood’s charm comes through in its friendly people. Other highlights include the local theme park and shopping, as well as the natural splendour of the seaside. Ginza is a welcoming neighbourhood with many tasty options for restaurants and seafood restaurants. The neighbourhood has many charming qualities, with its architecture among the more noteworthy. Broaden your horizons with some local shopping. 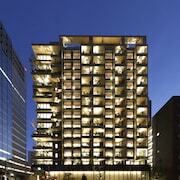 The Shinagawa neighbourhood welcomes visitors, with its convenient options for restaurants. Broaden your horizons with some local shopping. Best places to shop in Tokyo. Opens in a new window. 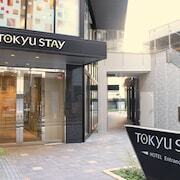 Top hotels in Tokyo. Opens in a new window. 48 hours in Tokyo. Opens in a new window. Excellent view from the room and friendly helpful staff. Excellent customer service and all facilities were extremely clean. 24 hour convenience store near entrance of hotel and Shibuya station just across the road making it the perfect hotel to explore Tokyo. A popular travel destination for millions of visitors every year, Tokyo has firmly established itself as a city to see for many travellers. 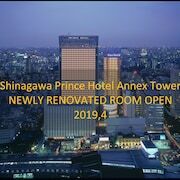 Tokyo is the capital city of Japan and is home to both the Japanese government and the Emperor of Japan, whose private residency is located in Tokyo Imperial Palace, a large park-like area in the centre of Tokyo City. 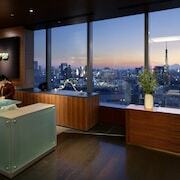 Tokyo is also world famous for its cuisine and home to some of the finest restaurants in the world. With more Michelin starred restaurants than any other city in the world, Tokyo is a must visit for all food lovers. 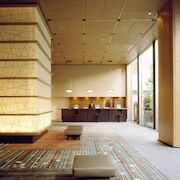 You can also look forward to staying in some of the world's best luxury hotels when you are planning your stay in Tokyo. With a great mix of traditional Japanese buildings and modern, western influenced construction, Tokyo is home to some of the most impressive architecture and buildings in the famous Tokyo Tower and Tokyo Dome (a 55,000 seater indoor baseball stadium). Tokyo also has one of 6 Disneyland Resorts around the world (the first of 3 in Asia), making it a firm favourite for family holidays. 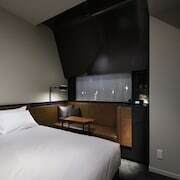 Other things to do in Tokyo include visiting Tsukiji Fish Market (the world's largest fish market), Yoyogi Park and the Shibuya Crossing as well as trying out a bit of Karaoke or catching a local Sumo Wrestling match.